That looks yummy, Gert. Sambal petai is my all-time favourite dish. I love eating it sandwiched between cucumber slices. Slurrrp. My mom cooks it with dried shrimps pounded into her sambal ingredients. I have to try this one day soon. So, your toilet is filled with lit aromatic candles? LOL! What a coincidence Gert. 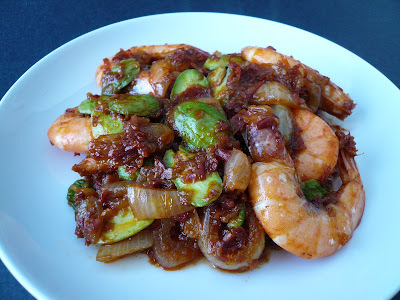 I cooked sambal petai too last weekend and was about to post it in my next entri. My mom also add dried shrimps in the sambal belacan. Like Rita, I also like to eat it with cucumber. wow! 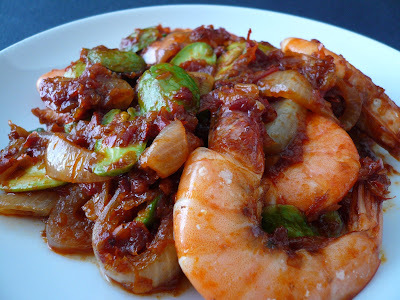 !.look soooo good your sambal petai,so merah your homemade sambal.I see the big shrimp,I can feel it now! !.Must ikut your recipe for homemade sambal.I'm going to get some serai tomorrow. The thing is if I eat it H will run a mile away ! yummy! should try ur homemade sambal la Gert...dah copy tp tau aje la..delay aje..hehehe..
dat cendol recipe:..sorry, ni pon lambat bg u! had sambal masak petai last week. we found some fresh ones at the toko. sabal tumis petai's hardy's favourite! i'm not fond of them. but the udang and the onions i loveee... lovely photos! Cat, actually the frozen petai here is not as pungent as the one back home so is not so bad. Beachlover, is good to have the homemade sambal in hand. Can cook so many dishes with it. 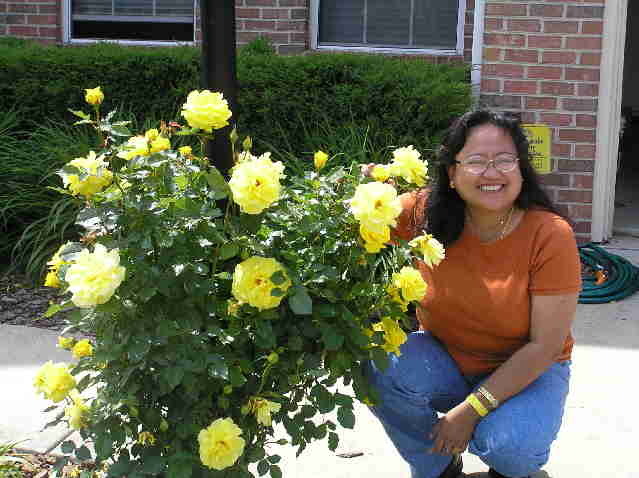 Nonya, my husband also lari lah :) :) but once a while is ok lah. Is not that we eat this everyday. Jun, thanks for the cendol recipe. Watch out for my posting of it :)but I tak ada air kapur lah. Jadi tak the cendol without it? sedapnya Gert. meleleh air liur tengok. carlos takde kat rumah ke? hehe. Jun, I will try without the air kapur. Pearly, the sambal recipe is in the link. yeay!sambal petai and udang! Delicious tu. makan dengan nasi lemak pun sedap nih. I LOVE petai with all my heart!!! Extra spicy sambal please! My mom cooks it with minced chicken/fish paste, and top it with big prawns. I can eat petai with rice only. Dang, I'm salivating just thinking of it!